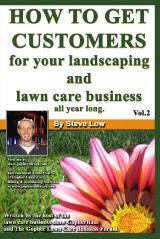 « Lawn pricing and bi-weekly mowing. Every lawn care business owner seems to have a different ideal rig setup. Some prefer a single pickup. Others like an enclosed landscape trailer. 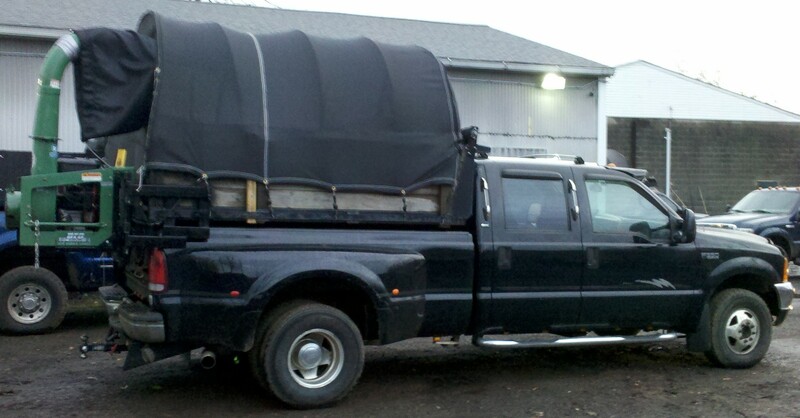 But how many of you have experimented with using a dually pickup as your main truck? 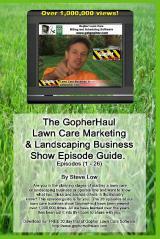 That is what this entrepreneur did and he shared with us his insights on the Gopher Lawn Care Business Forum. Some of the lessons he learned may help you with your next purchase. 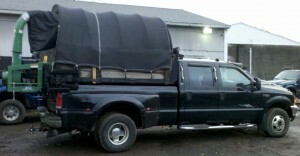 One lawn care business owner wrote “I love my dually pickup truck, I call it my tank. I bought it as a dual purpose work/family truck. The crew cab is nice for getting people to a site/sleeping in the back seat. It is not so nice for plowing in tight areas/sharp and tight turns. The dually is great for the added weight of my trailer and a full bed of material. However it kills me on fuel costs and doesn’t help with snow plowing as it really needs to be put it in 4wd to plow. At the back of the truck I have installed a dump insert. It is an 8 foot EZ DUMPER with wood side rails and a cab protector with tarp roller. It cost me around $1,200 plus another $800 to install for a grand total of $2.000. I got myself the dump because they are so helpful with mulch work and leaf clean-ups. The next piece of equipment I added to it was a leaf tarp system. That set me back about $535 with tax and the leaf loader swing arm was another $590 with tax. Even with all this installed, the truck is great. It can still pull my trailer and I don’t need to find a muscular friend/family member to lift off the loader just to dump the truck. It is well worth it for a single operator and at a fair price. I like my current setup. I think with the weight in the truck and the trailer, it needs the dually option. Plus I had a flat today and was able to keep going until I got to a mechanic to plug the tire thanks to the dual rear wheels. Reflecting on all this now, if I had to do it all over again, I would have put the leaf system together in my first year. I fit a lot more leaves in the truck with it. It saves time loading and driving to a dump, dump fees, and looks more professional. I actually previously had a mason dump truck but I rarely ever used it. It was at the mechanic’s shop the majority of the time I owned it. I think for an extra $2-$3k you can have the dump option with an insert and that saves a lot of time and back pain. If you don’t have the money to buy a dump truck new or used but do have a pick up, it is definitely a great option. I am happy with my purchases. I am not one to waste money but these features really save time and aggravation. Another down side to using the truck in the winter for snow plowing is that the frame is now rusted but not totally rotted out so I am looking for another truck. As everything is attached to the ez dump insert, I can unbolt it and transplant to a newer truck. That probably won’t be until at least next year. Also the floor of the dump needs to be replaced soon. I am trying to find someone who can do it before I end up buying myself a welder on and giving it a crack. With my landscape trailer, the only other things I am doing to it are putting in a track system to hang hand tools and my trimmers. I bought an electric jack that was so worth the expense to it as the old jack was a pain to use due to the placement of the leaf loader. I spent $300 for a really good one and haven’t had an issue yet. I only paid $2,000 for the trailer and when I sold my old trailer to buy the new one, I only had to spend $300 to cover the upgrade. This entry was posted on Monday, June 22nd, 2015 at 11:41 pm	and is filed under Lawn Care Truck, New Arrival, Trailer, UltraVac, lawn care equipment. You can follow any responses to this entry through the RSS 2.0 feed. You can leave a response, or trackback from your own site.